How this Product Manager led the product development from SMB to Enterprise. 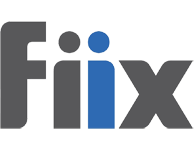 When Fiix Software needed someone to lead the product development and truly own it in order to move from SMB to Enterprise – they needed a recruiter that understood the portion of their evolution to make it happen. As an early stage company, they needed someone to come in and own their product and act as a member of the senior leadership – but also hands on in the trenches to provide leadership and mentoring to the team. In March of 2016, their Chief Operating Officer, James Novak reached out to Martyn with a big order to fill – they needed someone to evolve the product from SMB to Enterprise – which falls right into Martyn’s sweet spot. Product Management was to be a newly created role for the organization, placing a high level of importance on who fit the bill. Especially at early stages because every hire is critical, where a bad fit could throw a wrench in your plans and you end up spending a ton of time recruiting and now correcting that original mistake. Martyn went to work and brought forth Andy Yadegar, who impressed James and his team from day one. Andy wasted little time building and leading the newly formed product management capabilities, and not only was he able to do that, he also lead the delivery effort with developers, moved to agile and also their QA function. Andy had the breadth of experience James and his team were looking for, and he raised the game of everyone around him. Not only in the product department from a leadership perspective, but also how the rest of the organization interacted with product. Which is crucial because they were out speaking with large enterprise customers and the product was a big part of those conversations.“This really changed our culture not only internally but also how we interacted with customers externally,” said James. Andy took a holistic approach to the product and he’s been able to deliver exceptionally well, exceeding their expectations by building out the product management capabilities and product capabilities as well.